Popular Nigerian Singer Known by stage name “D’Banj” Got married in a secret Lagos Wedding last year, The Kokomaster D’banj wedded Didi Kilgrow, who is MTV Base’s “Bigger Friday Show’s” Samantha Walsh‘s younger step sister. Lineo Didi Kilgrow born in 1991, she grew up in Jos, Plateau State, Nigeria. Attended primary and secondary school in Jos and currently a student of University of Abuja. The duo had a very low key, private wedding in Dbanj father’s house, which only 25 people were invited. Didi will 25 this year and beauty that captured the heart kokomaster is the half sister of Samantha Walsh,who is presently hosting the big friday show with Falz, on MTV base. Didi Kilgrow is a very nice girl, very humble and down to earth. She blew away the kokomaster’s heart and he proposed four months ago and in early June, they had their traditional wedding in Jos. The church wedding they say might also be low key. The Couple’s traditional marriage is said to have held in Jos last year June ( 2016) in a very secret occasion with few family and friends tasked to keep things “coded”. Meanwhile, on July 2, 2016, they had their court wedding attended by some family and friends including the parents of D’banj and Didi’s parents who flew in from Jos. Congratulations to the celebrity couple as they are expecting a child now. 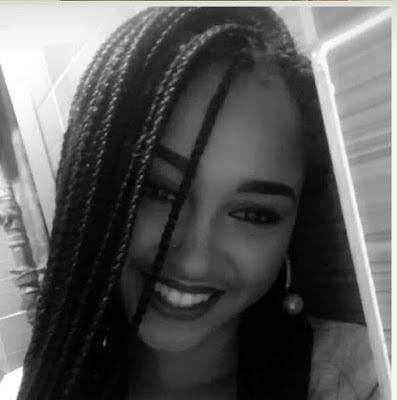 This is D’Banj’s new BRIDE, Didi Kilgrow, an undergraduate at the University of Abuja he met in 2015. The ‘Koko master’ made headlines when he married Didi in a private ceremony yesterday, July 2, 2016. To celebrate the newly wed, Information Nigeria reveals 10 Things we know about D’banj’s new wife. * The stunning beauty grew up in Jos, Plateau state. * Didi is currently schooling at the University of Abuja. * She is the younger and step sister of Samantha Walsh who is presently hosting the big Friday show with Falz on MTV base. * Didi had allegedly dated Aaron of Addiction before meeting D’banj whom she started dating early 2015. * D’banj allegedly proposed to her 4 months ago. * In June, the couple had a quiet traditional wedding in Jos, Plateau state. * Didi officially became Mrs Oyebanji at a private registry wedding yesterday, July 2 in Lagos. * Didi’s parents live in Jos, Plateau state. * Her father is an American and her mum is half Nigerian, half South African. Congratulations to Mrs. Didi Oyebanji.